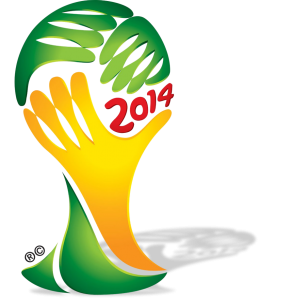 June 12th marks the start of one of the most unique and popular sporting events in the world: the 2014 FIFA World Cup. Thirty-two different teams from six continents will compete for the prestigious distinction of being the World Cup champion. Among the notable teams are the United States, defending champion Spain, and host country Brazil. The month-long tournament will feature the brightest stars of the game, including Lionel Messi (Argentina), Cristiano Ronaldo (Portugal), and Franck Ribery (France). The roster for the United States features World Cup veterans such as goalkeeper Tim Howard and midfielder Clint Dempsey. The World Cup has been steadily growing in popularity in the United States and is sure to attract a large and diverse audience in New York and on Long Island. Businesses will have the opportunity to capitalize on the excitement with television advertising spots from Cablevision and Verizon FiOS. The Public Relations and Marketing Group’s new and updated program, “PR and Marketing for Lawyers CLE,” is now being offered for 2 ethics credits on December 12 from 1:00 p.m. to 4:45 p.m. This program gives attorneys a review of the attorney advertising rules and provides an overview of the tools needed to develop and implement a successful marketing program. This course has been approved for MCLE credit in New York for all attorneys, including newly admitted (less than 24 months). The lecture is being presented by John C. Zaher, Esq., a leading attorney marketing expert.The course will take place at Ben’s of Manhattan, located at 209 W. 38th Street, Manhattan, NY, 10018. The cost, which includes lunch, is $65 with pre-payment. (Please Note: There is an additional $20 charge at the door). If you are experiencing financial hardship, please see our financial aid policy. To register, please visit www.theprmg.com/events-marketing-long-island-networking.html. PATCHOGUE, NY — The Public Relations and Marketing Group, LLC (PRMG) announces it is offering a series of lectures on how attorneys, restaurants, retail stores, companies and non-profit organizations can grow their business and protect their reputation. All lectures will be held at PRMG’s Education and Training Center, located at 156 North Ocean Avenue in Patchogue. On September 23, PRMG will host a PR and Marketing For Lawyers CLE course from 11:30 a.m. to 3:45 p.m. In this program, John C. Zaher, Esq., a leading attorney marketing expert, will review the attorney advertising rules and provide an overview of the tools needed to develop and implement a successful marketing program. Those in attendance will receive two CLE credit hours for Ethics & Professionalism. Registration is $65 in advance ($85 at the door) and includes lunch and materials. ● Competing with the Big Boxes (and Little Boxes) Without Going Broke: A Marketing Seminar For Retailers on October 4 from 9:00 a.m. to 12:30 p.m. Registration is $25 in advance, $35 at the door. ● Non-Profits Need Marketing, Too: A Marketing Seminar for Non-Profits on October 14 from 11:30 a.m. to 3:00 p.m. Registration is $25 in advance, $35 at the door. ● Bring More Guests to Your Table: Marketing Strategies For Restaurants in Today’s Economy on November 1 from 9:00 a.m. to 11:30 a.m. Registration is $25 in advance, $35 at the door. Negative publicity on the Internet can cost businesses both money and customers. A strong online reputation management strategy is essential to the success of any organization in today’s business world. Getting Started with Reputation Management will provide an overview of a comprehensive reputation management strategy for business owners to monitor their online reputation, publish positive publicity, engage with their audience and take legal action if necessary. The presentation will be held October 7 from 11:30 a.m. to 1:00 p.m. Registration is $15 in advance, $25 at the door. Social media and the Web are essential components of any multifaceted strategy to make the most out of your business’ marketing efforts. Using Social Media and Web Marketing to Build Your Business will offer those in attendance with an overview of how to strengthen their business’ Web development and SEO, Web advertising efforts, social media presence and more. The presentation will be held October 21 from 11:30 a.m. to 3:00 p.m. Registration is $25 in advance, $35 at the door. It is imperative to include a marketing plan as part of a business plan and to budget funds for at least six months to a year. Starting a New Business: “If You Build It, They Won’t Necessarily Come” describes the steps PRMG recommends towards developing and implementing a cost-effective marketing plan for the new business owner. When starting a business, there is no room for error. This program, which be held on October 28 from 11:30 a.m. to 2:00 p.m., will review strategies that work. Registration is $15 in advance, $25 at the door. Registration fees include breakfast or lunch. For more information, call (631) 207-1057, email: johnzaher@theprmg.com or visit www.theprmg.com. On Thursday, May 26, Parents for Megan’s Law will be holding a Charity Texas Hold’em Poker Tournament at the Coram, Long Island, New York Firehouse. The event includes great prizes for the last 10 at the final table (see below). It’s going to be a fun night and the registration donation includes a buffet and unlimited beer and soda! The event benefits the organization’s programs that provide valuable services to child and adult victims of sexual assault and all other victims of violent crime through our crime victims center. You can register or make a donation by phone by calling (631) 689-2672.